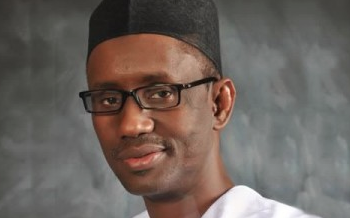 A former Chairman of the Economic and Financial Crimes Commission, Mallam Nuhu Ribadu, on Sunday justified his defection from the opposion All Progressives Congress to the ruling Peoples Democratic Party, saying the APC was not better than the PDP. Ribadu, who was the 2011 presidential candidate of the defunct Action Congress of Nigeria, forerunner of the APC, said there was no difference between the PDP and APC, in terms of the character of the people who constituted both parties. The ex-EFFC chairman, who spoke through his spokesman, Mr. Abdulaziz Abdulaziz, said this while fielding questions from one of our correspondents in Abuja. He said, “In Nigeria, especially in politics, you can’t say that this is an exclusive party for the people who are thieves or this is for good people. “It’s just like saying that all Yorubas are this or all Igbos are this. In every group of people, there must be good people and there are bad people. Of course, the good may be more than the bad or the bad may be more than the good in any group. He said that his defection was not borne out of his desperation to realise his political ambition but was based on his patriotic zeal to serve the country and its people. Abdulaziz said, “It is not true that he (Ribadu) was desperate to realise his political ambition. This is because this decision was taken in the overriding interest of serving the people. “What matters for him is service. That is why even when he was a member of the opposition party, when government asked him to serve the country, he accepted the offer and he did a wonderful job that everybody hailed except those who don’t want change in the system. But one of Ribadu’s close political associates in Yola told one of our correspondents that Ribadu’s defection had more to do with his governorship ambition and the alleged failure of the APC to give him the expected support and compensate him for his “sacrifices” for the party. The source said part of Ribadu’s sacrifices, which he said the APC had failed to reciprocate, was his offer to step down for the then presidential candidate of the Congress for Progressive Change, Gen. Muhammadu Buhari in the 2011 election and also his role in “wooing some governors to join the APC”. The source linked Ribadu’s defection to his unresolved grievances against the APC, which the source made the ex-presidential candidate to succumb to pressure mounted on him by people, including the Chairman of the PDP, Adamu Mu’azu; Minister of Finance, Ngozi Okonjo-Iweala, and a Principal Secretary in the Presidency, Hassan Tukur, to join the PDP. I know how difficult it may be for you to come to terms with my defection to another party. But I must assure you that it's a carefully considered decision for which I do not wish to hurt anyone's feeling. I'll not embark on a needless animosity with my good friends, irrespective of political, religious, regional and ethnic affiliations. Let me quickly make it known that I did not issue a statement disparaging APC and its members, including Governors Amaechi, Kwankwaso... These were clearly fabricated, expected backlash, by mischievous characters interested in misleading the public and drawing a picture of non-existent feuds between me and my good friends. My defection shouldn't be seen as an initiation of political antagonism with my good friends in another party. I still hold them in high esteem, and even where there are marked differences, I believe there are decorous and honorable ways of resolving them. So, kindly disregard any statement said to be by me attacking the personality of any politician since my defection. I'll never allow myself to be drawn into such disrespectful exchange. As for my next step in this political struggle, this would be made known in due time. For now, I wish to assure you that my defection is in pursuit of a good cause, and never out of any selfish interests as portrayed by a section. Thanks for bearing with me on this decision, and for those who have been in solidarity with my struggles and still giving me the benefits of the doubt, I'm most grateful. I'll never let you down on this new path. Thank you!